All PostsCreateRecipesHome / All Posts / EASY Superbowl Recipe Ideas! The Superbowl is upon us! (Here we go Patriots!! MUAHAHAHAHAHA!!) What better way to celebrate the win of the best team in history than with some tasty food?! Ok ok I’ll stop now. 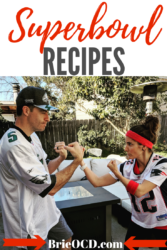 I’ve compiled some Brie OCD favorites right here in this very email for you to make on game day! A few apps, a few mains and a few desserts to round out the assortment. All are Brie OCD tested and approved and most are healthy but extremely tasty! 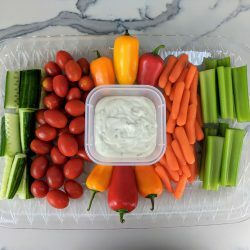 Veggie Platter – this is an easy and all-time party classic. Make your own to save money and avoid everyone running for the hills with that store-bought stinky broccoli! P U!! Ultimate Cheese Platter – who doesn’t love meat and cheese? (ok ok I guess vegans and lactose intolerant people but that’s not your problem! 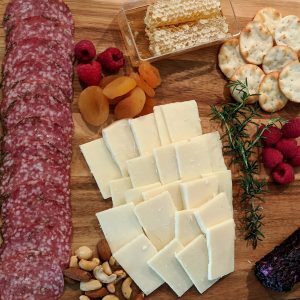 LOL) This recipe is an easy way to make a delicious and hearty cheese platter that everyone will love! 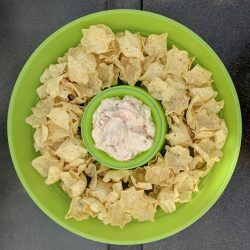 Yummy Dip – as the name implies this is truly yummy and EASY! 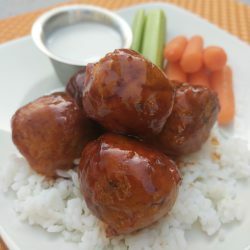 Honey BBQ Meatballs – These balls are made with ground chicken to give you a heart healthy app without sacrificing flavor. 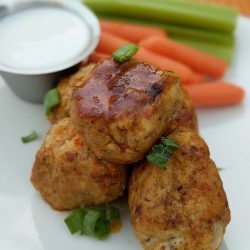 Buffalo Chicken Meatballs – Who doesn’t love buffalo chicken? If you don’t, I don’t want to know you! Super easy and deeeelicious! 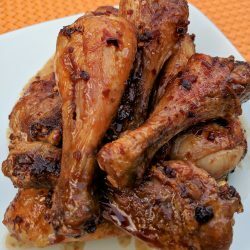 Teriyaki Chicken Wings – Wings and football go together like wine and cheese. These Teriyaki chicken wings remind me of China Dynasty wings back in RI but without all the msg and guilt! George’s Baked Beans – get ol thee ol crockpot and make some to-die-for baked beans. As with everything I make they are easy and delicious! 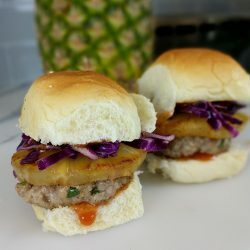 Hawaiian Pork & Pineapple Sliders: I cannot wait to make these again. Easy and so flavorful I promise you these will be gone before you can even put them onto a plate! 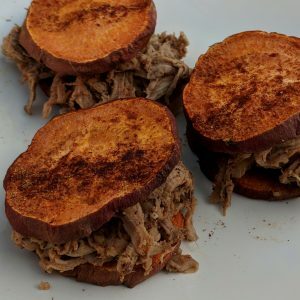 Pulled Pork Sammies – pulled pork in the crockpot with sweet potato buns if you are going for health OR you can buy Kings Hawaiian rolls to splurge a bit on gameday. Either way you will be in heaven! 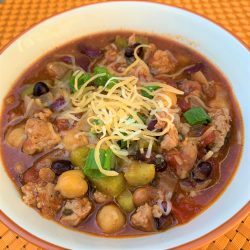 Sweet & Spicy Crock-Pot Chili – Chili is a gameday classic! 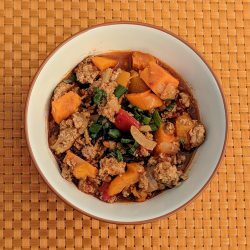 Switch it up by making this sweet and spicy chili filled with sweet potatoes, hot italian turkey sausage and veggies! 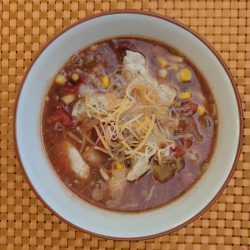 Chicken Corn Chili – Another beanless classic! super easy to make and always a hit! Pumpkin Chili – super simple chili recipe that incorporates pumpkin! not too pumpkiny and full of flavor! 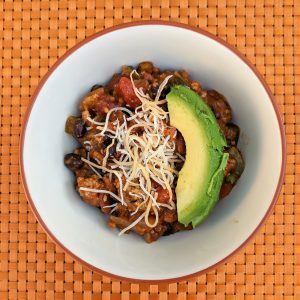 4 Bean Chili – This is a classic in my house. Full of beans and protein. Super easy to make and devour! 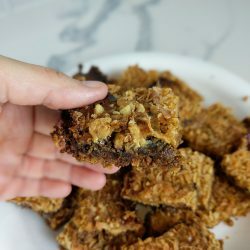 Magic Bars – some people would give their first unborn child for just one more bite of these bars. simple layer the ingredients and bake. Boom! 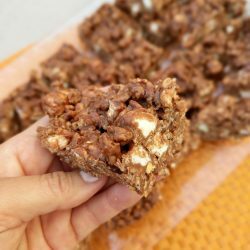 No Bake Rocky Road Bars – These treats are easy to make, easy to clean up and don’t require any baking! 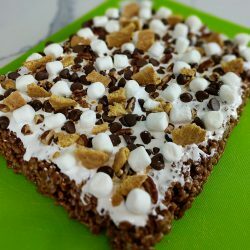 No Bake S’mores Rice Krispy Treats – If you don’t like smore’s I don’t want to know you! These are always a hit and don’t require any baking!